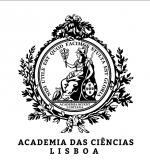 On Wednesday, October 11, the meeting will take place at the Academia das Ciências de Lisboa, R. da Academia das Ciências, 19, 1249-122 Lisboa. On Thursday, Friday, and Saturday, October 12-14, the meeting will take place at the library of the Faculdade de Ciências e Tecnologia da Universidade Nova de Lisboa (FCT/UNL), Campus de Caparica, 2829-516 Caparica. There will be a bus transfer from the hotel to the meeting places.